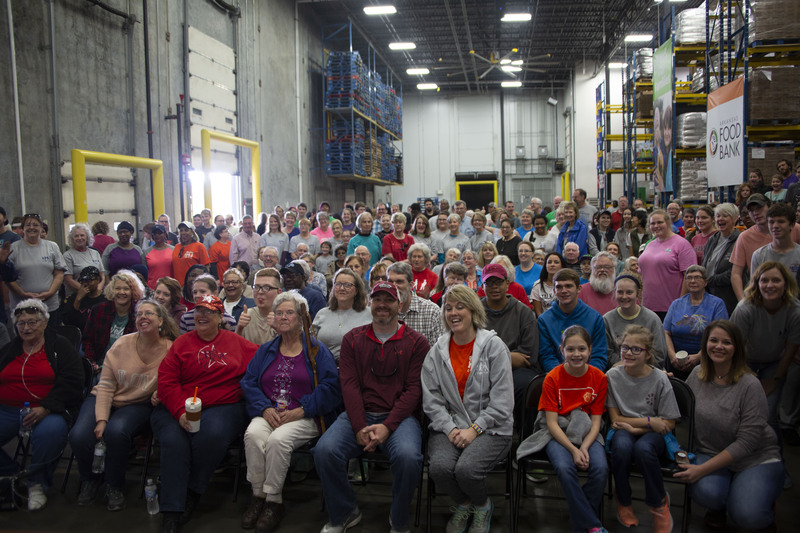 More than 300 United Methodist volunteers from around the state are expected to gather at the Arkansas Foodbank for this year’s annual Ingathering event. Ingathering — the largest volunteer event for United Methodists in Arkansas and the Arkansas Foodbank — takes place from 7 a.m. to 12 p.m. on Saturday, Nov. 17. Volunteers will have the opportunity to sort, package and label produce, including 37,000 pounds of dried beans and 40,000 pounds of sweet potatoes. According to Mary Lewis Dassinger, project coordinator for 200,000 Reasons and Ingathering, that is double the number of beans from last year’s Ingathering. Volunteers at the event are divided up into various groups, where they are then given the task of either sorting produce, packaging produce into bags or bins, or labeling the packaged produce according to their contents. Once volunteers sort the items, churches who signed up to take produce back to their food pantries will receive a certain number of items. The Foodbank stores the remaining unclaimed items until they are ready for distribution. Two shift times are available – 8:30 a.m. to 10 a.m. and 10:30 a.m. to 12 p.m. – with 30 minutes of worship time between the shifts. In addition, churches from around the state are expected to bring supplies that the United Methodist Committee on Relief will use for their disaster response kits. This year, Ingathering is only accepting supplies for hygiene, post-disaster cleaning, and school supply kits. UMCOR distributes these kits to areas of need in the event of a disaster, such as the recent hurricanes that have hit both the Carolina coast and the Florida Gulf Coast. Their website lists the supplies needed for each of these kits. Volunteers from 2017’s Ingathering event gather for a group photo. Dassinger expects this year’s Ingathering to be a great success, thanks to the growing number of volunteers who have signed up to participate. This year’s Ingathering also brings many new opportunities for United Methodists to give of their time and resources. In addition to packing produce, Ingathering is also collecting items for a Thanksgiving holiday food drive. They are asking for churches and individuals to bring food items to the Arkansas Foodbank on the day of Ingathering. These items will help to provide holiday meals for families in Arkansas, and volunteers will be sorting and storing these items for later distribution by the Foodbank as well. Some of the items that are needed include canned meat, canned vegetables, cornbread/stuffing mix, and canned fruit. A full list of accepted items can be found here. 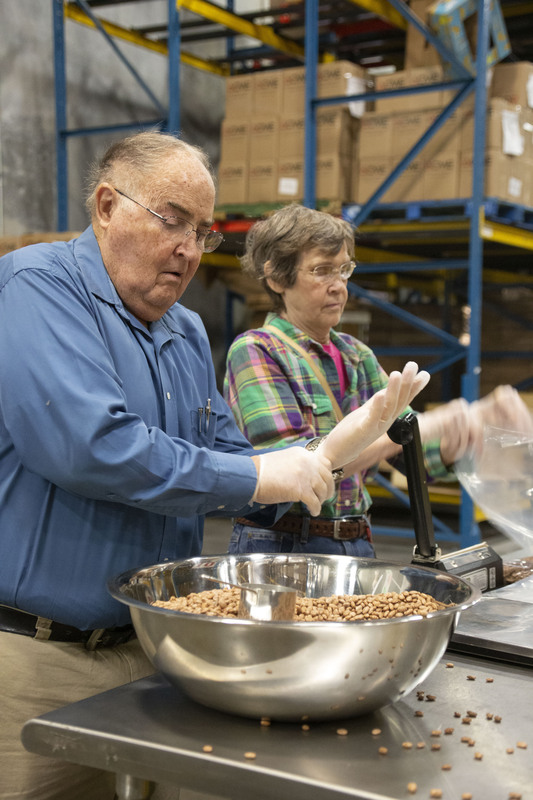 Two volunteers sort beans at the Arkansas Foodbank. Another new option for Ingathering in 2018 is the opportunity to be a sponsor for the event. Sponsorship options range from $50 to $1,000, and varying levels of incentives are available for each sponsorship package. Businesses that are interested in becoming a sponsor can fill out the sponsorship information form and mail it – along with a check – to the Arkansas Conference office. For those that choose to volunteer at this year’s Ingathering, it’s not just an opportunity to spend a weekend gathering together with fellow Arkansas United Methodists; for Dassinger, it means much more than that. “I really hope volunteers gain a sense of accomplishment for helping to provide food for those who need it around the state. And I hope they get to experience a sense of glorifying God in their work that day,” Dassinger said. 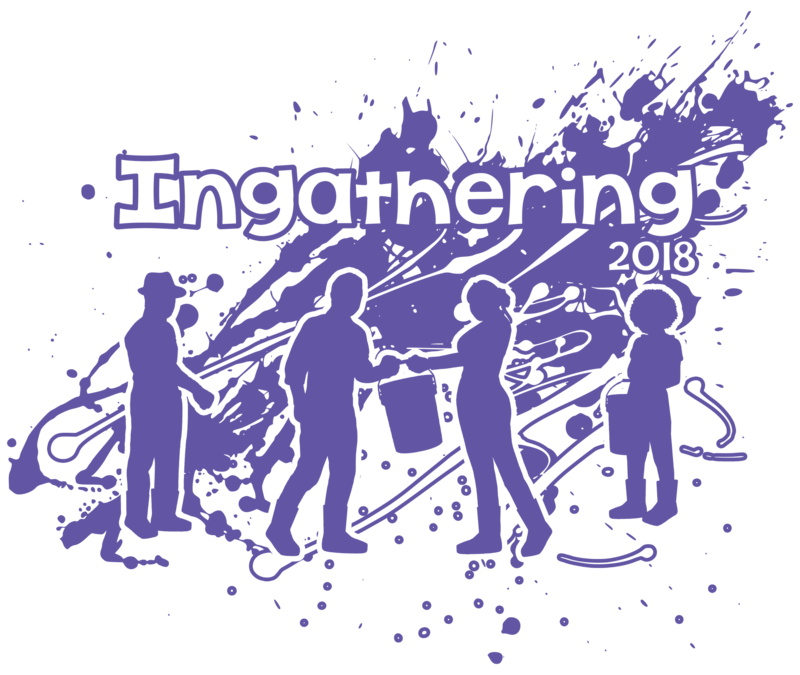 To sign up as a volunteer for Ingathering, visit the Ingathering event page and fill out the registration at the bottom of the page. Necessary forms for waivers and remittance can also be downloaded and printed by clicking on the links at the bottom of the Ingathering page.